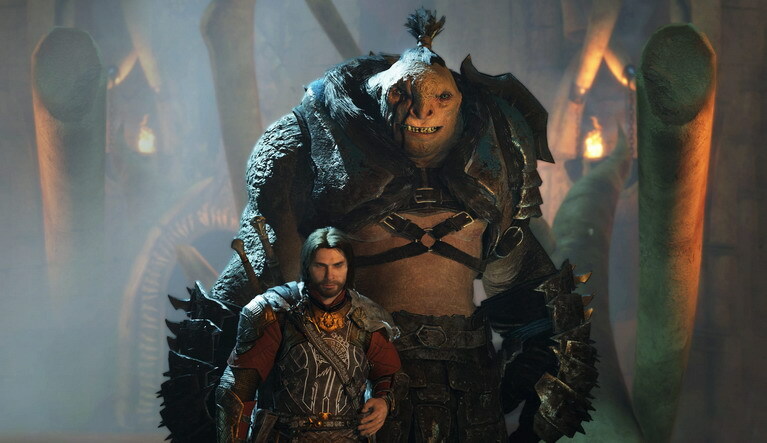 Το Middle-earth: Shadow of War αλλάζει προς το καλύτερο με βαρβάτο update. Όπως ανακοίνωσε η δημιουργός Monolith, το update 14 του Shadow of War είναι πλέον διαθέσιμο και φέρνει μεταξύ άλλων βελτιωμένη εμπειρία campaign, βελτιωμένο επίλογο, νέα player skins και legendary gear, καθώς και ολοκληρωτική αφαίρεση του market και των microtransactions. Δείτε τις βασικές αλλαγές παρακάτω και αναλυτικά στο παραπάνω λινκ και πείτε μας αν παίζετε Middle-earth: Shadow of War! • Removal of the Market: The market and microtransactions have been completely removed from Shadow of War. Orcs recruited through Online Vendettas and Ranked Conquests will now be stored in the Garrison, and in-game Mirian can now be used to train, upgrade and customize your personal Orc army. • Changes to the Shadow Wars: Renamed the Epilogue, the post-campaign has been vastly streamlined to include new narration from Shelob, the Witch-king and Dark Talion. Victory in the Epilogue rewards players with the Masks of the Nazgûl, unlocks powerful new abilities to raise the dead, curse enemies and summons more powerful monsters. And players also have the option to continue upgrading and defending their fortresses and army in Mordor after the final credits conclude. • More Ways to Customize & Build Your Character: The follower level cap has now been increased to 80 and the enemy Captain level cap has been increased to 85. Plus, players can level up faster with greater XP rewards for Nemesis Missions, defeating Captains and Online Conquests. New Prestige Skills are available and offer incremental upgrades to skills. Players can also spend Mirian to upgrade gear to current levels by completing the upgrade challenge, and these gear upgrades now allow players to re-roll abilities for the perfect combo. • Nemesis Improvements: There are more Legendary Orcs to encounter, more ways to get Training Orders (incl. Legendary Training Orders) and followers can now surprise players with the occasional gift. And if any followers are too keen to help out and have been stealing kills, there is now the option to turn off the Savior feature in the menu. • New Player Skins: Players can now take the fight to Sauron as Celebrimbor, reliving the first War for Mordor, or battle as Dark Eltariel and Baranor.